Sarah Armstrong-Garner lives in Northern California with her husband and three children, and get this. Not only is she an author, screenwriter, and photographer, she also shoots indie films with her husband. 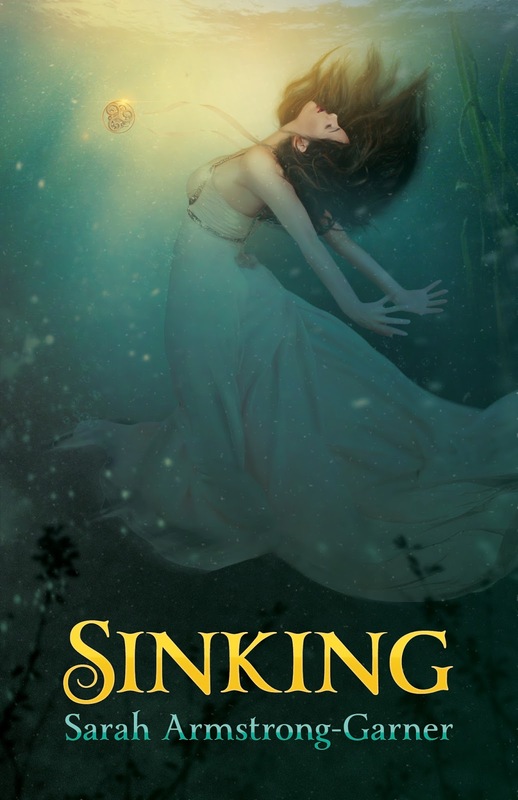 Sinking is her debut novel. 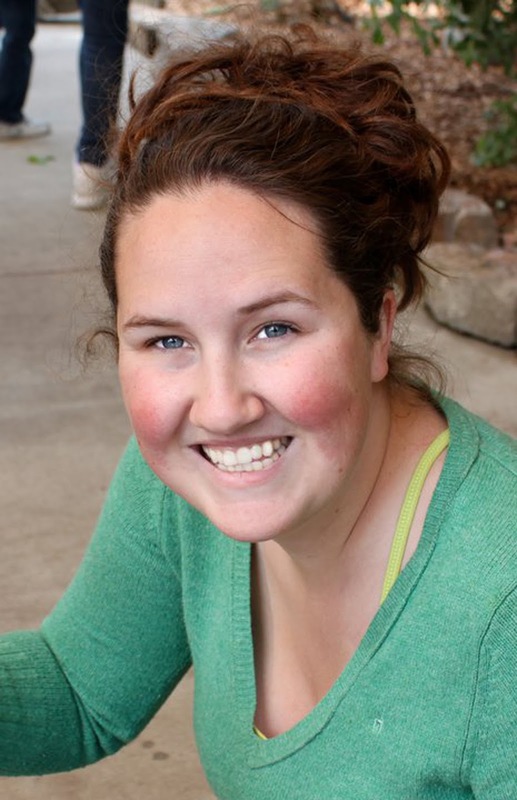 You can visit SarahArmstrongGarner.com to learn more about her and her upcoming releases. 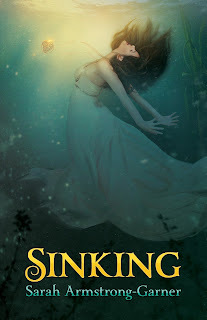 How much research did you have to do in order to write Sinking? Sarah: There is a shelf on my bookshelf full of sailing, shipbuilding, historical maps, 18th century etiquette, and so on. With the historical bent I had to make sure I was accurate. I spent hours reading, watching documentaries, walking around on Google maps, and anything else that made me feel I had lived Jocelyn’s life. What is your writing process like? Are you a plotter or a panster? Sarah: I’m a panster. I’ve tried to outline my books, but it never works and I end up through them out. What I noticed was my characters are much smarter than me and they want to write their own story. So, I let them take over. That is when I become a reader and not the writer. What fictional character (not your own) do you most identify with, and why? Could be from any book, movie, or TV show, etc. Sarah: Wow, this is a hard question. Hmm, I would have to say Elizabeth Bennet. Not because of her relationship with Mr. Darcy, but of her family dynamics. I come from a large family and each of us has are own quirk. I can also relate to Lizzy following her heart instead of following the path laid out. What are your favorite and least favorite scenes to write, and why? Sarah: Fight scenes are my least favorite because what I see in my head never comes out right on paper. My favorite is romantic scenes. I love to see my characters fall in love. Sarah: My mother’s death is what brought on this journey with Sinking. I needed a different world to focus on and from there Jocelyn’s developed. This book gave me a chance to escape reality—it allowed me to breathe. Sarah: Eva Ibbotson’s book The Countess Below Stairs made me fall in love with YA and is one of my all time favorites. Marissa Meyer’s Lunar Chronicles I can read over and over. It’s not YA, but one I adore is Neverwhere by Neil Gaiman. What would make you DNF (did-not-finish) a book? Sarah: I don’t have a lot of time, so if I’m not hooked within the first three chapters I usually put the book down and never pick it up again. Sarah: Multi-tasking telekinesis, imagine being able to make dinner and write at the same time. It would be A-mazing! Multi-tasking telekinesis would be great! Thank you so much, Sarah, for being on my blog today! Great interview and pretty good questions. I always like to read q&a with authors, because I like to see what they think like and how they prepare/make their stories. Btw, your blog is so wonderful! Thank you, I'm glad you enjoyed this interview! It's always a pleasure to interview authors. Great interview =) I've never heard of tihis book & the cover is so lovely! I love your questions! I wish I'd thought of the DNF and the scenes one. Thank you! I'm always curious what would make anyone DNF a book because everyone's answers are different and I always love hearing about the author's writing processes. Thanks for stopping by! Ooh, I am intrigued about the Ireland aspect. It is interesting to hear an author talk about DNFing, just because you wonder how they feel about it. Great post!